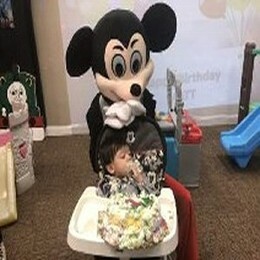 Your child’s first birthday! It’s a landmark event. At Kids Kustom Parties, we understand how very special you want your child’s first birthday party to be. We’ll sit down with you and help you plan the most memorable party of your dreams for your one-year-old. We’re like wedding planners for your birthday event! We’ll run with your ideas and share a few of our own for your consideration. It will be a party that your child, family, and friends will all enjoy. For example, we can display a photo montage or video on our 15-foot screens, showing just how much your baby has grown. Of course, we’ll decorate in the theme of your choice, including decking out a high chair for the guest of honor. If you’re considering a character party, you’ll want to consider that toddlers are often afraid of masked characters. But they do enjoy characters in costume without masks. Two exceptions to the rule are Mickey and Minnie Mouse. We’ve found that most young children are delighted by Mickey and Minnie. For adults, we have a separate area for adult chit chat. You’re welcome to bring in your own food for the adults. It’s the best of both worlds! Children AND adults will enjoy themselves. At the same time, adults are always welcome to participate with the children. 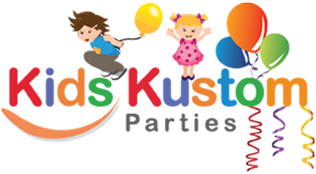 Grandparents and other adults may enjoy air hockey, duck-duck-goose, musical chairs, and other children’s games. Bring your cameras! We also have accommodations, such as a changing table and a comfortable area for nursing mothers in our spacious bathroom. We can create almost any themed party that you want.